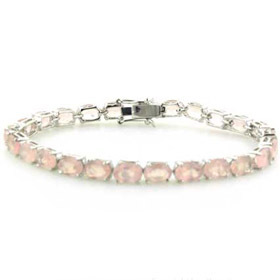 Enjoy the delicate opaque pink of rose quartz in a rose quartz bracelet. Stunning combined with sterling silver, your rose quartz bracelet will never be off your wrist. 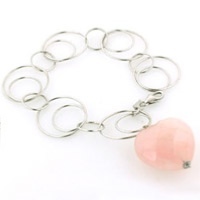 We offer many other pieces in our rose quartz jewellery collection. Our rose quartz bracelets feature natural stones. 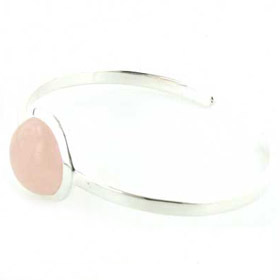 Shop below for a silver rose quartz bracelet or a rose quartz bangle.